Security and defence is an industry which constantly requires innovative technology in order to ensure the safety of civilians and rapid identification of priority targets. Drones represent the future of surveillance, they are small, agile, and responsive which allow them to leverage omni-directional tracking and identification of dynamic threats through bio-metrics. Combined with facial recognition, the primary motivation for the project was to address shortcomings of static surveillance and monitoring methods. Drones equipped with a camera are deployed and either actively seek targets or patrol key vulnerable areas. These cameras provide data for facial recognition technology based on a computer vision library to identify targets, security risks, and known persons. This drone can be deployed to areas that static surveillance may be ineffective, for example urban environments or high risk areas. Security companies, police forces, and defence units can provide a database of individuals of interest for the facial recognition technology to identify. 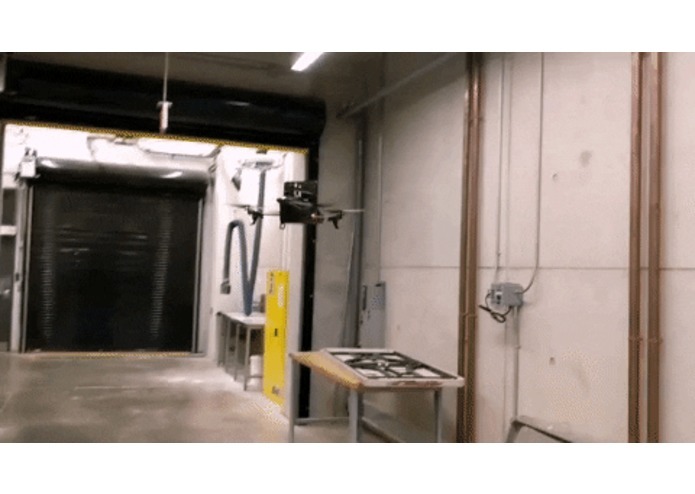 The drone is a modified parrot AR 2.0 installed with a networked, top-mounted camera. The camera records video data, streaming it to the operator, as well as secure storage for data retention and analysis. 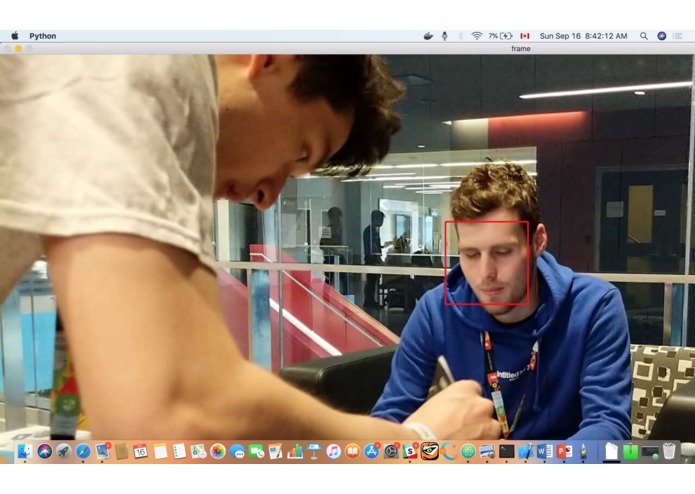 The feed is then used by OpenCV to cross-check with faces of those on the database to identify persons of interest using facial features, and other parameters. Python was chosen to deploy OpenCV and for live-streaming of video data. The Parrot SDK was unable to be used as the hardware was locked, preventing direct access to the existing camera's feed. This meant the team had to get creative, we mounted an iPhone to the AR drone instead and used a IP webcam to stream it back to the operator. This however worked to our advantage as the iPhone has a far superior camera than the drone allowing for more accurate facial scanning. 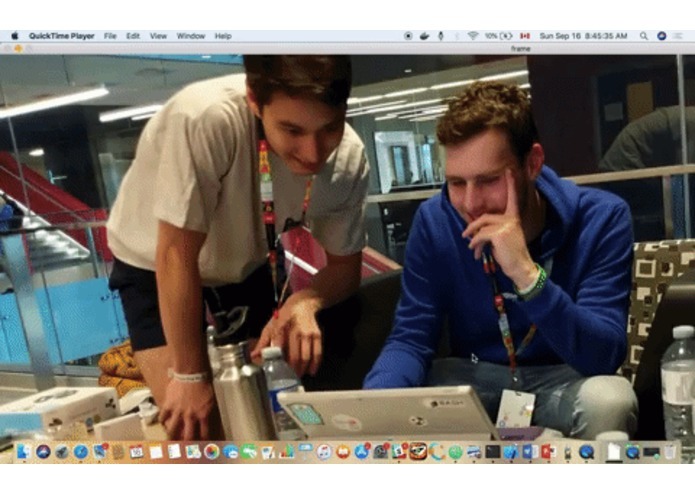 How well everyone was able to work as a team, having never met before and with two out of four of the team members coming all the way from Australia it was incredible seeing the members from diverse cultural and educational backgrounds come together and complete a solution. Developing kills in machine-vision, systems engineering, and programming for some members were part of the experience. We learned how incredibly friendly and welcome everyone is, there was never and sense that other teams were competitors, everyone always stopped and asked how each other was offering their own assistance if needed. It is great to be part of such a passionate and caring community. The next stage is implementing augmented reality, we believe these would be incredibly useful in the modern day battlefield or security industry. 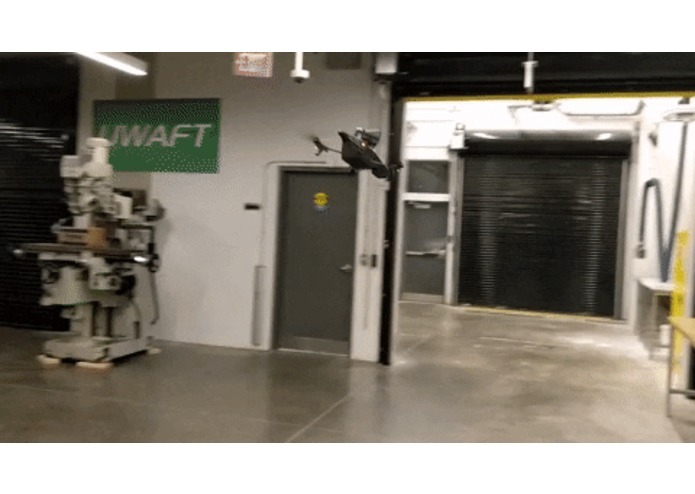 Our vision is sending swarms of drones into a building, or dense environment to raise situational awareness for defence, security, and law enforcement. Machine-learning would also be utilised for autonomous, unit-centralised decision making. AR glasses showing the layout of the building and where targets are.